STATE of Origin time brings out the passion in most sports fans, particularly for those from Queensland and New South Wales. Rugby League's premier event has fans planning their match night viewing for weeks in advance and, apart from unexpected power outages or a sudden death in the immediate family, nothing can prise us away from our television screens. However, how many of those same dedicated rugby league fans would remain at their lounge room post under mortar attack? 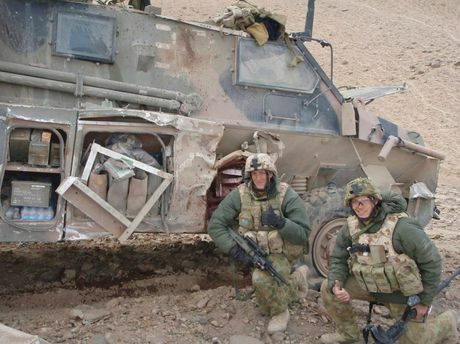 Well, that was just the question put to Toowoomba man Damien Price and mates during a stint with the Australian Defence Force in Afghanistan. Trooper Price was a gunner with the Force Protection Group based at Tarin Kowt. On call 24-hours-a-day for every day for seven of the total nine month tour of duty, Mr Price and his team engaged the enemy Taliban fighters almost daily. "Every second or third night we'd get bombed," he said matter-of-factly. "You actually get used to it, believe it or not." However, on this particular occasion, the Taliban mortar attack on their compound was more inconvenient than ever. "We were back in camp where we have 'Poppy's Restaurant' where you can sit and drink soft drink, play table tennis or watch TV. "We had arranged to watch the State of Origin on one of the TVs and we were watching the game when the siren went up 'Incoming!'. "People started running everywhere to take cover... except the Aussies who wanted to watch the game. "We just thought, 'bugger the Taliban, we're not missing State of Origin'. We were not going to let the Taliban stuff up our game. 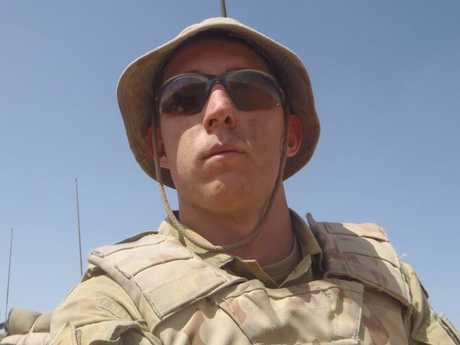 Damien Price served with the Australian Defence Force in Afghanistan. "They (Taliban) have these sorts of big rockets and they used to shoot into our compound regularly. "But they're not that accurate and most of them land either side but occasionally one might come into the compound. "A little while later the 'all clear' was given so we didn't miss any of the game." Mr Price said military personnel from other countries wondered about the sanity of the Australian soldiers staying to watch a football game on TV under mortar attack. "They thought we were mad," he grinned. "But that's the Australian nature over there. "When we were outside the wire we were always getting blown up and shot at, you really just get used to it. "It becomes a way of life. It's a whole other world over there." The Force Protection Group, or Quick Response Force, with which Trooper Price served was a protection outfit for engineers and other personnel. Their aim was protect the engineers who went out in search of Improvised Explosive Devices (IEDs), mines placed mainly at the sides of roads and thoroughfares by the Taliban with the intention of blowing up Allied Defence Force vehicles. Trooper Price spent his time in the field in a turret atop an Australian Army Bushmaster vehicle with an eye trained on everything around the people he was protecting with heavy artillery at his fingertips if needed.